Teachers of the Educational and Research Institute of Pedagogy and Psychology participated in the regional workshop. 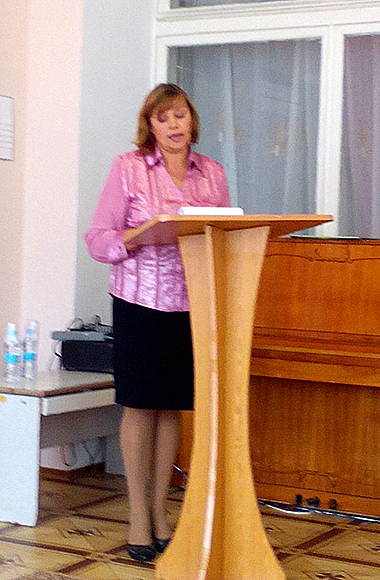 On October 18, 2016 in the preschool educational institution “Malyatko” (the village of Polovynkyne) the district workshop for the heads of preschool educational institutions on the topic “Formation of Speech Competence of Preschool Children: a Reasonable Combination of Traditional and Innovative Methods” took place. The workshop was attended by the heads of the preschool educational institutions of Starobilsk district, the head of the Methodological Department of Education, teachers of the Educational and Research Institute of Pedagogy and Psychology of Luhansk Taras Shevchenko National University. The workshop was held on a high scientific and methodological level. 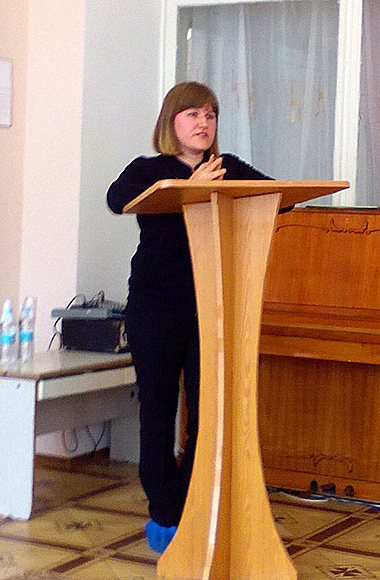 Presentations were made by O. Ivchenko – the head of the preschool educational institution “Malyatko”, O. Grigorenko – the preschool teacher of “Malyatko”, I. Grechishkina – Assistant of the Department of Preschool and Primary Education and M. Pochinkova – Ph.D., Assistant Professor of the Department of Philological Disciplines of the Educational and Research Institute of Pedagogy and Psychology of LTSNU. Such events open up new possibilities for the organization of educational process; allow discussing topical problems of educational space and finding new and more effective ways to solve them.